WUXI, China, July 22, 2013 /PRNewswire/ — Suntech Power Holdings Co., Ltd. (NYSE: STP) (“Suntech Holdings” or the “Company”), one of the world’s largest solar companies, today announced that it is supplying the photovoltaic modules for the largest solar power plant in Latin America, a 30MW plant in La Paz, Baja California Sur, Mexico. The 132,000 Suntech Ve and Vd panels will be installed by Martifer Solar, a Portugal-based fully-integrated solar company, on a 100-hectares site. Owned by Corporacion Aura Solar, the project is being developed by Gauss Energia, a leading Mexican energy project developer focused on renewable energy. The project has strong financial support from Mexican local development bank NAFIN, and from the International Finance Corporation. It is Mexico’s first utility-scale solar project with a Power Purchase Agreement from Mexico’s federal power company. The plant will have a production capacity of 82 GWh/year, equivalent to offsetting more than 60,000 tons of CO2 emissions per year. The plant’s construction is scheduled to be completed in August 2013. The company is based in Portugal and has a presence in Europe (Spain, Italy, Greece, Belgium, France, Czech Republic, Slovakia, United Kingdom, Germany, Romania and Ukraine), North and Latin America (United States, Canada, Mexico, Chile, Brazil and Ecuador), Africa (Cape Verde, Mozambique and South Africa) and Asia (India, United Arab Emirates, Singapore and Japan). According to Martifer Solar, in 2012 Martifer Solar’s revenues reached 230.8 million Euros and, to date, the company has implemented more than 400 MW of photovoltaic solar energy worldwide. Founded in 2004, Gauss is a leading business development firm, specialized in Mexico’s energy sector. Gauss’s activity focuses on the identification, development and structuring of investment opportunities. Particularly, Gauss Energia has a wide experience in the development of renewable energy projects in Mexico. Its knowledge on the regulatory and commercial frameworks in the Mexican energy sector allowed Gauss to participate successfully on the structuring of projects over 300 MW with renewable energy sources. Suntech Power Holdings Co., Ltd. (NYSE: STP) produces solar products for residential, commercial, industrial, and utility applications. With regional operations in China, Switzerland, and the United States, and gigawatt-scale manufacturing worldwide, Suntech has delivered more than 25,000,000 photovoltaic panels to over a thousand customers in more than 80 countries. Suntech’s pioneering R&D creates customer-centric innovations that are designed to drive solar to grid parity against fossil fuels. Suntech’s mission is to provide everyone with reliable access to nature’s cleanest and most abundant energy source. This press release contains forward-looking statements. These statements constitute “forward-looking” statements within the meaning of Section 27A of the Securities Act of 1933, as amended, and Section 21E of the Securities Exchange Act of 1934, as amended, and as defined in the U.S. Private Securities Litigation Reform Act of 1995. These forward-looking statements can be identified by terminology such as “will,” “expects,” “anticipates,” “future,” “intends,” “plans,” “believes,” “estimates” and similar statements, and includes the actual performance of the panels, the ability of the project to double Mexico’s installed PV capacity, and ability to generate 82GWh/year and offset more than 60,000 tons of CO2 emissions per year. Further information regarding these and other risks is included in Suntech’s filings with the U.S. Securities and Exchange Commission, including its annual report on Form 20-F. Suntech does not undertake any obligation to update any forward-looking statement as a result of new information, future events or otherwise, except as required under applicable law. Every year (November through March, with the best month being February) millions of black and orange monarch butterflies find their way to Mexico. The monarchs’ annual journey, encompassing more than 2,500 miles, takes the butterflies from Canada and the northeast United States to their winter home in Michoacán, where, in some areas, they can number four million per acre of land. With their four-inch wingspans, the monarchs cloak fir trunks and hang on boughs in clusters of tens of thousands. 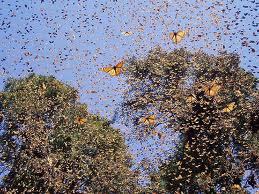 Up to 250 million monarchs winter in the region pulsating in the trees and creating one of nature’s brilliant displays. A Mexican legend says that the souls of the dead are reborn as monarch butterflies. Organized tours are available from the capital city of Morelia. Read more and see a video clip…. Here is a link to the dates and locations where the film will premiere in the US and Canada. 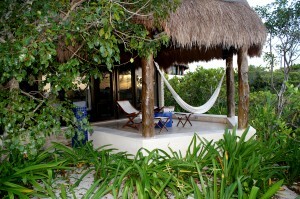 If you’re visiting Merida, be sure to spend some time in Celestun and check out the Hotel Xixim . This eco-friendly, luxury property is for those who truly want to disconnect from civilization. 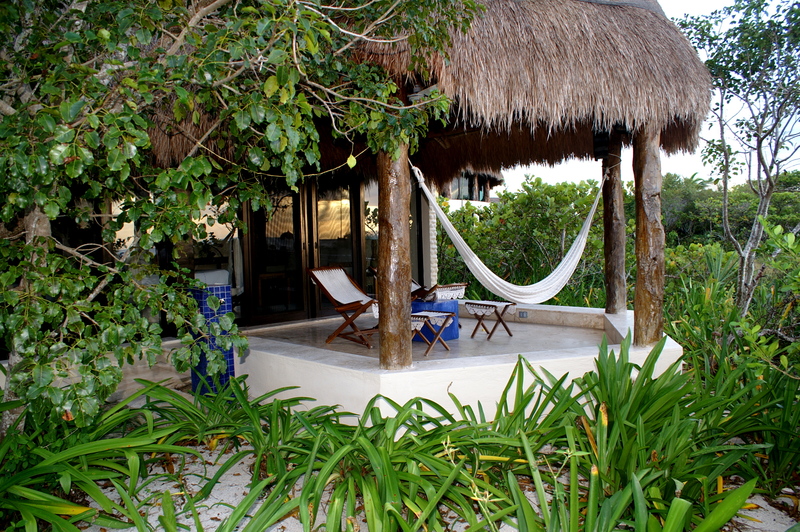 With 32 bungalows designed to be a part of the landscape, Xixim is one of more unique properties I have visited in Mexico. At home on a pristine and deserted stretch of beach, Xixim appeals to the adventure traveler who also enjoys the perks of a fine hotel.